5 1/2 x 3 1/2 in. 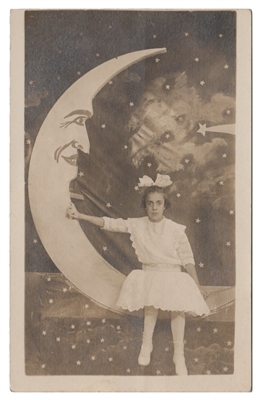 real photo postcard of a young girl in a paper moon arcade setting. 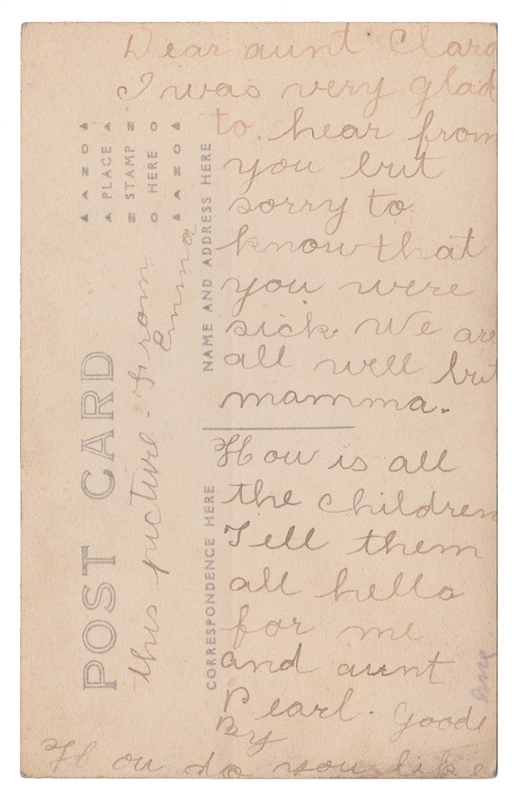 Verso: "Dear aunt Clara, I was very glad to hear from you but sorry to know that you were sick. We are all well but mamma. How is all the children Tell them all hello for me and aunt Pearl. Good By. How do you like this picture. From Emma."